Knife Arm Bale Clamp Suitable for the waste recycling industry and will handle waste bales such as paper, plastic, bricks and fridges. 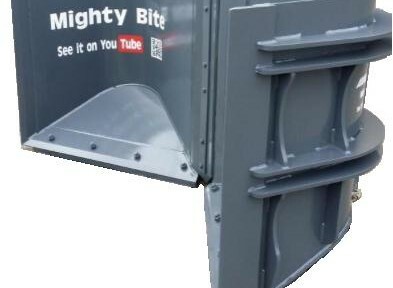 Heavy Duty Refuse Bucket & Claw The Strimech heavy duty refuse bucket and claw has been designed to work within the waste industry for use with general household waste. A bolt on wear edge is fitted as standard to help extend the working life of the bucket. Skip Hook Move hook-on skips using your telehandler and increase maneuverability.